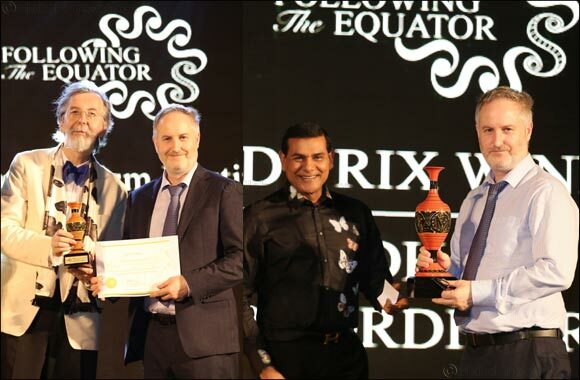 Abu Dhabi, 20 October 2018: The Department of Culture and Tourism – Abu Dhabi (DCT Abu Dhabi) has been awarded two top honours at the International Tourism Film Festival Maldives (ITFFM) for its ‘Your Extraordinary Story’ destination brand campaign. The winners of the 2018 ITFFM awards were announced this week at a prestigious three-day event, which was held at the Sun Siyam Iru Fushi resort, in the South Asian country, with DCT Abu Dhabi picking up the overall winner Grand Prix prize, as well as winning in the Best Tourism Destination (Cities) Film category. The accolades follow similar success for the emirate’s destination campaign in July this year, when DCT Abu Dhabi won in the gold category at the Pacific Asia Travel Association (PATA) awards. Since the PATA award was announced, DCT Abu Dhabi has further strengthened its destination campaign, building upon an identity that has already attracted record numbers of guests to the emirate for two successive years. The new elements of the campaign aim to continue raising awareness and interest in Abu Dhabi, and to grow its reputation as a unique leisure, business, and cultural destination by reinforcing the message of inspiring experiences and ‘extraordinary stories’. At the centre of this evolved campaign are a collection of new films showcasing real people living in the emirate who through their own unique lifestyle embody its personality and depth of offer. This year’s ITFFM, the second held, featured an array of special events, including orange carpet premieres of tourism films, gala celebrations, filmmaker receptions, filmmaker Q&As, international spotlights, industry seminars and musical performances.